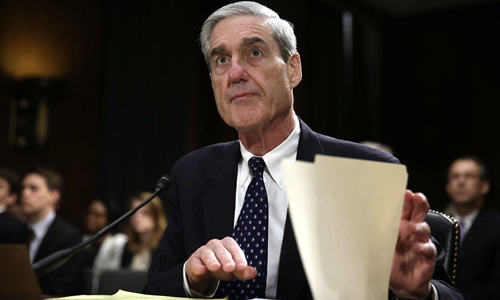 On Thursday’s Mark Levin show, Robert Mueller’s Office is leaking again. This time to the New York Times, as Mueller’s team works with Attorney General Barr to determine what non-confidential information can be released. Today, the Department of Justice issues a statement indicating that the Mueller Report contains confidential information that is protected under Rule 6 (e) that cannot be publicly shared. Bear in mind that despite the Democrats rhetoric, the Attorney General is under no obligation to release any portion of the report. The New York Times is intent on delegitimizing the Attorney General’s summary of the Mueller Report. The release of this report will raise many questions as to why this investigation was started to begin with. Then, the Democrats are fearful of Al Sharpton and nearly every single Democratic candidate for president has or will appear at Sharpton’s annual convention for his National Action Network, which he calls a charity. Later, Alec Baldwin took shots at Mark Levin and Sean Hannity on an interview he did on the Howard Stern radio program. Afterward, the President gives Mexico a year to step up their border enforcement otherwise he’s either shutting down the border or imposing tariffs on cars.